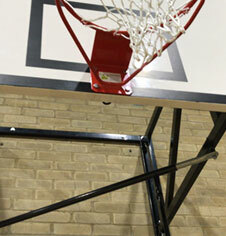 A series of wall folding indoor basketball goals for the YMCA in Manchester. Robust wall mounted units which wind back against the wall after use. Features full size backboards and professional basketball hoops, mounted at 3.05m competition specifications. We provide a national sports equipment installation service. We offer IOSH & CHAS certified services for local authorities, schools, universities, cricket clubs, sports centres. For building basketball areas see Outdoor baasketball courts. All our installation work is undertaken by IOSH Chas accredited staff, meeting all required safety standards. Risk assessments conducted with all installations by qualified field installation experts with accredited quality & safety standards. EWall mounted units can be both manual or electrically operated. The extention can be longer and they are available with a series of different hoop rings. We offer a nationwide design and installation service for outdoor sports courts and sports areas. Artificial polymer, tarmac and 3G sports non turf surfaces or local authorities, schools, universities and public use sports and recreation facilities. Please call for more information and pricing. We had slightly complex requirements, but the FS team were super helpful. I'm delighted it's now in situ and absolutely spot on..
Royal Navy Portsmouth indoor tournament match basketball court goals installation. Warwick University ECB multiple 3 lane steel cricket cage & artificial test pitch installation. Rugby world cup training ground perimeter fence and 12m boundary ball stop netting. Quwatol Islam junior school :London wooden wall mounted climbing & activity PE frames. 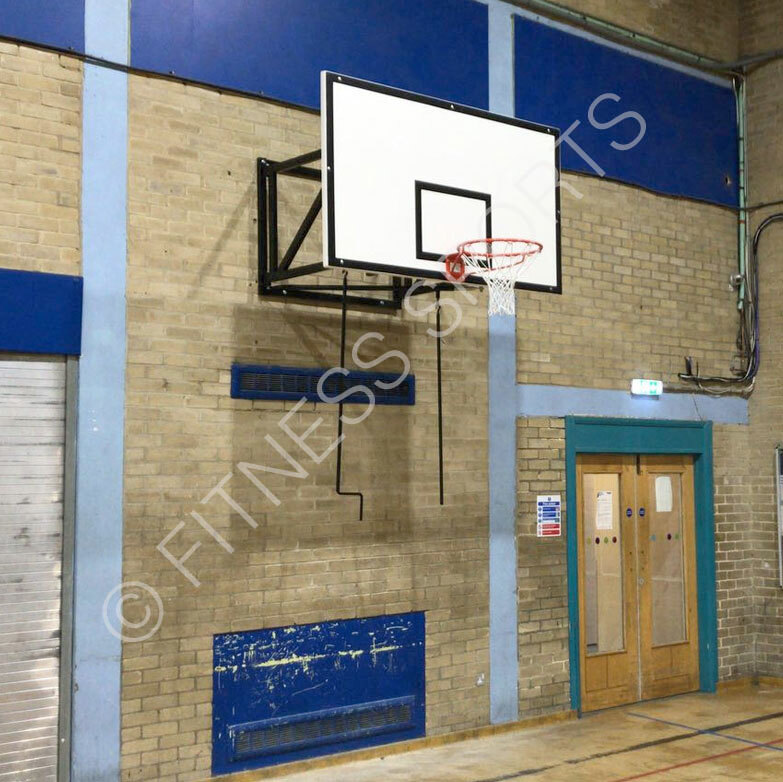 Wall mounted gymnasium basketball goals. Schools playground MUGA goals installation. In ground steel goal post outdoor baketball court area. Aluminium 10m rugby goal posts installation. School ground socketed senior steel match rugby posts installations. Interlink outdoor steel surround MUGA sports perimeter pitch fencing. Spectrum wooden school hall gym PE folding wall exercise frames. Bespoke cricket club boundary post netting system design & installation. Walkern primary school PE gymnasium climbing rope equipment. Full 22m steel outdoor cricket cage practice area installation. Outdoor basketball goals. anti vandal galvanised heavy duty basketball court installation. Twin steel cricket practice net cages with full double surface hard base installation. Multi lane in ground steel cricket net cage with wilton triple bay practice pitch installation. OMG Anti vandal fenced outdoor heavy duty basketball steel MUGA goalposts installation. Outdoor residential steel feestanding cricket net cage & pitch installation. Schools wall equipement contract for multi PE frames supply & installation. Ipswich school outdoor polymeric multiple athletic run and landing area pit. Parsons Green school wooden wall mounted PE frames supply & installation. 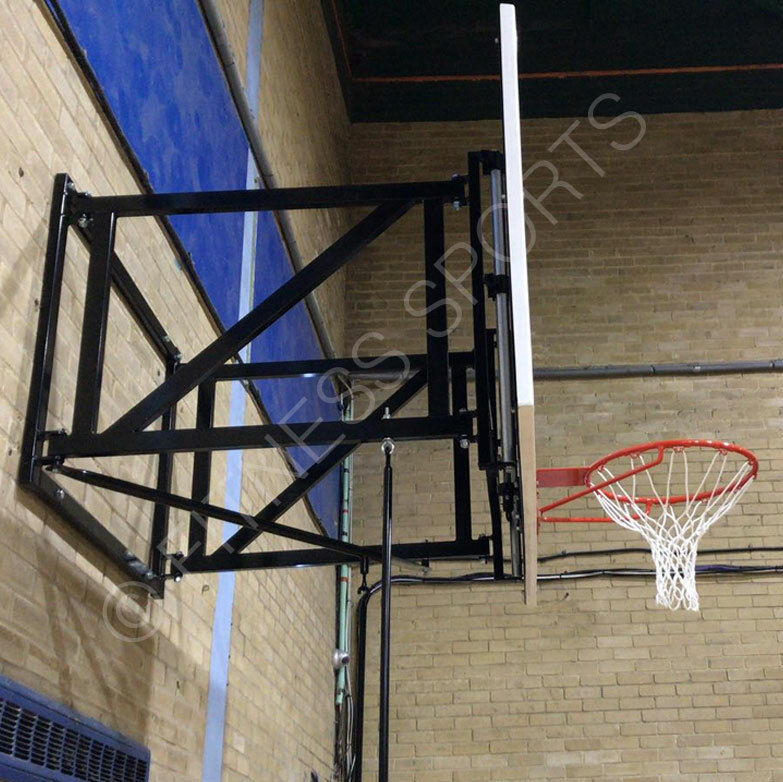 Headcorn primary school wall mounted gymnasium PE & activity frame installation. Cecil Jones weatherproof outdoor static ground fixed anti vandal table tennis. Senior outdoor school playground basketball multi system play area installation. Playground basketball goal net systems with ground fixed anti vandal steel posts.